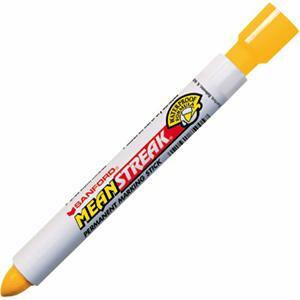 The Mean Streak Marker is specially formulated to mark over dirt and grime. Paint markers are perfect for heavy industrial use. 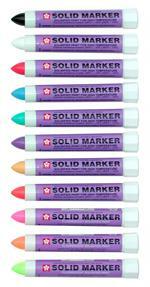 These Sanford markers lay down thick, solid lines on rubber, concrete, wood, glass, metal, chrome and more. Dries in minutes. Won't chip or peel so marks stay put! Fast-drying, waterproof paint markers adhere to virtually any surface and resist fading, peeling or chipping. Broad "bullet" tip for thick, heavy lines. Easy-to-use twist-advance the extra-wide tip to use just what you need. Airtight cap also helps prevent paint evaporation. Odorless. Marks on dark surfaces with an opaque line. These permanent marker pens offer a brilliant contrast, especially when used against black or dark surfaces.